BY WHICH I don’t mean writers pulling back or running scared (for which, to be persnickety about it, the prepositional phrase should be “in retreat”), but rather writers doing something they need to do every now and then, if they are to produce more noteworthy novels, poems, and plays—recharge, rewind, recover, then write and rewrite, preferably in some form of isolation or seclusion. As I reported last week, I went with a small group of writers and friends down to Palawan on the first Adverbum Retreat for Writers organized by the Chicago-based Almira Astudillo-Gilles. We stayed at Ambrosia, The Amazing Villa (which, as it turned out, is just past Puerto Princesa in Sitio Bubusawin in Barangay Apurawan, in the municipality of Aborlan), run by Herwig Gielen and his wife Theresa. The idea was to give writers some R&R while they worked on their current projects, and in this case it was in a place remote enough that we were out of text, email, and Internet contact for a week (except for literally a few moments, twice, when we drove out to another barangay and sailed out to a point about 30 minutes offshore to catch a weak cellular signal and a few messages). Writers’ retreats—some private and personal, some institutional—have had a long and colorful history. The Huffington Post’s UK edition has a list of 19 of the more unique ones, including a rotating hut that George Bernard Shaw built in the bottom of his garden near Hertfordshire; Dylan Thomas had a boat house in Wales, Virginia Woolf a hut in Sussex, J. K. Rowling her Edinburgh café, and George Orwell a house on a remote Scottish island. And Henry David Thoreau, of course, had Walden Pond. Rowling’s caffeinated sequestration aside, modern retreats have evolved into much more sociable residencies, where not just one but several writers inhabit a home together for some time, each with his or her own space to work on an individual project. This setup acknowledges the fact that, in most cases, writers need not only to write but also to talk, preferably with fellow writers who understand what the whole fuss over words and ideas is all about, if only for an hour or two each day before each one slinks back into his or her own burrow. While they may engage groups of writers, a writers’ retreat or residency isn’t like a workshop, where the focus is on helping younger and newer writers with matters of craft and other professional concerns. A residency is a gathering of peers, and while socialization is encouraged, privacy is respected, and no detailed reports or submission of outputs is expected, on the understanding that mature artists will proceed and produce at their own pace, without need of overbearing guidance or monitoring. I’ve been privileged to attend a few of these residencies—which, until we had Adverbum in Palawan, were all overseas. One of the most popular ones (at least among writers) was the Hawthornden International Retreat for Writers in Lasswade, Midlothian, Scotland, about 45 minutes by bus out of Edinburgh. More than a dozen Filipino writers have now gone to Hawthornden over the past 20 years, including the likes of Krip Yuson, Ricky de Ungria, Danton Remoto, Marj Evasco, Rofel Brion, and Eric Gamalinda, and, among the younger ones, Sarge Lacuesta, Mia Gonzalez, and Chingbee Cruz. Rather more opulent were two other residencies I later attended in Italy: the Rockefeller Foundation’s Bellagio Center in northern Italy, near Como and Milan, in 2002, and Civitella Ranieri in 2011. Bellagio was a medieval palace turned into a villa and a haven for artists and scholars by the Rockefeller Foundation, and today it offers residencies to a broad range of academics, artists, and professionals. When I went there to work on Soledad’s Sister, my fellow fellows comprised an American architect, a Russian pianist, a British Bible scholar, a South African novelist, and a South African arms expert, among others. The batches in Bellagio were much bigger, at about ten to a dozen per month-long batch. Like Hawthornden, what it took was an application consisting largely of a proposal for a work-in-progress, and samples of one’s past work. (I should add that I failed on my first application, but made it on my second try, so nothing is ever guaranteed with these things.) Many Filipinos have also gone to Bellagio—among them F. Sionil Jose, and many in the Hawthornden group, the usual suspects—including non-artists such as lawyer Raul Pangalangan; next year, fictionist Menchu Sarmiento will be going there to work on a new book of stories. 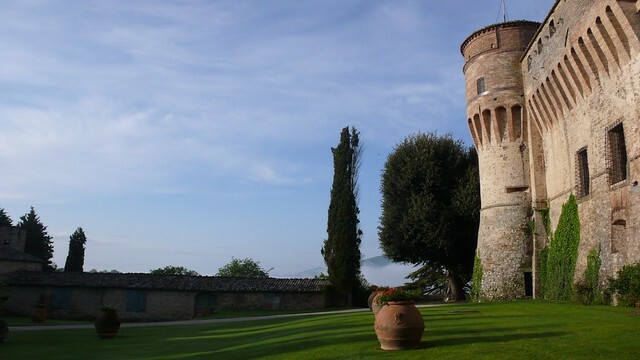 Civitella Ranieri is another medieval castle in Umbria, just outside Perugia, but here admission is by invitation only, and it’s limited to artists (writers, painters, musicians, dancers, filmmakers, and so on). Among other Filipinos, poet Mark Cayanan and novelist Miguel Syjuco were Civitella fellows this year, preceded by artist Lan Tuazon (2012), writer Gina Apostol (2009), and musicians Chino Toledo (2004) and Ramon Santos (1999). How productive can one get in these places? I suppose it depends on your own work habits and, in a sense, on the setup of the place and the fellowship itself. I hate to admit this as a digital junkie, but I produced the most work—four new stories and a short novel in a month—when I was offline in Hawthornden, having gone there in pre-digital times; I did write “Penmanship” on a 286-SX laptop and a floppy disk, but otherwise had no cellphone or wifi to distract me. Bellagio was good for a few chapters, but the villa’s intensely social schedule (and the overpowering beauty of the scenery) proved surprisingly less than ideal for sustained work. Civitella Ranieri resulted in 30,000 words of new fiction and final revisions on a book of poetry. And Palawan? I did final revisions on a biography, and edited several chapters for a friend’s book of travel essays. 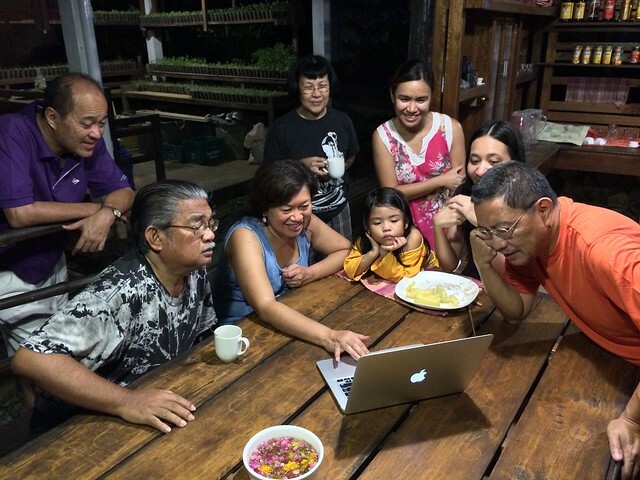 Could I have gotten all this new work done at home, in the boonies of Diliman? Maybe. 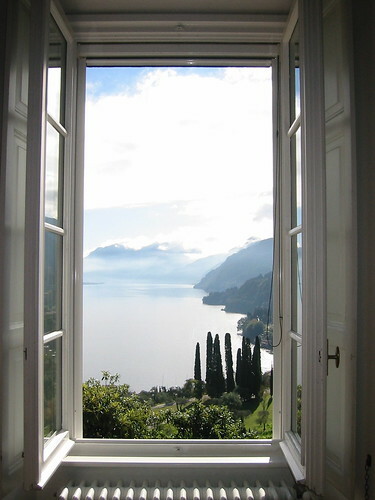 But distance strangely provides more clarity and urgency to things we take for granted in too-familiar surroundings, and a lake or an ocean to view outside one’s window can only help the imagination and refresh both body and spirit. 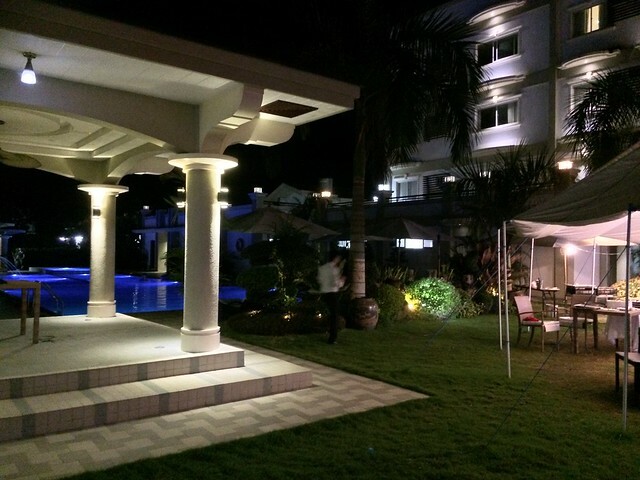 LET ME take this opportunity to acknowledge and to thank another of our Palawan sponsors, aside from Cebu Pacific—the Hotel Centro in downtown Puerto Princesa, where we stayed for the final night of our getaway. I’ve been to Puerto often, and can say that this new 111-room hotel is one of the city’s finest, located close to its most important locations. The rooms are clean and well-furnished, with free wifi (a godsend after a week’s digital dieting), and a very attentive staff who can also arrange special package tours around the city and Honda Bay and to the Underground River for you. The Sicily Bar on the fifth floor is set up for meetings and conferences. We had a sumptuous poolside dinner under a tent, a perfect point of re-entry to urban living after a week of sylvan solitude. Check them out at www.hotelcentro.ph for more details and reservations. This entry was posted in Art & Culture, Friends, Travel, Writing and tagged Bellagio. Hawthornden, Civitella, residency, retreat, writers by penmanila. Bookmark the permalink.